There is so much opportunity for success in e-commerce today – especially in the health and beauty segment. In 2016, U.S. consumers spent $12.11 billion on health and beauty items online. This indicates a growth rate of 104% over the past 5 years. That’s a more impressive rate than the fashion segment enjoys – and fashion is currently the second leading category for online spending in the country. The amount consumers are spending on health and beauty items online as individuals has increased dramatically as well. Consumers today spend more than two times as much on health and beauty items online than they did in 2011.That’s a serious shift in buying behaviour. There’s an incredible opportunity for Canadian e-commerce businesses that want to sell and ship health and beauty products to the U.S. This blog will cover who’s buying these products, how to reach them effectively online, what to sell, and how to play by the rules when it comes to things like product labelling and shipping. Millennial women (aged 18-34) are the top buyers. They aren’t impulsive shoppers – meaning they tend to be educated and take their time researching products, brands, benefits and prices before they buy. 35% of them purchase beauty products online from specialty stores, which is good news for niche businesses. Get more great business tips. Sign up to receive our e-commerce newsletter! These are digitally-savvy consumers who pay attention to social media influencers, blogs, brand websites, and online product reviews. To reach them, you’ll need to have good SEO and a strong social media presence, forge strategic partnerships with relevant influencers who have a large following in the U.S., and create compelling product offerings with competitive pricing to match. Online sales of health and beauty products in the U.S. are exploding while in-store sales are on the decline. In 2016, online sales increased by a staggering $1.6 billion, while in-store purchases decreased by $168 million. If you’re going to invest your time and money into expansion into the U.S., invest in online outreach. It’s important to understand where consumers are spending the most money within the category to truly grasp your opportunity. Cosmetics: $7.6 billion. Cosmetics are leading the pack which is no surprise since social media is saturated with beauty influencers. Many of them have millions of followers online. They often make a living by promoting makeup brands to their fans. Oral care: $7.5 billion. Oral care and hygiene products sell well online. In recent years, there’s been an influx of natural teeth whitening products, like the charcoal at-home tooth-whitening treatments that went viral. Shampoo/conditioner: $5 billion. There are many mass marketed and niche hair care products on the market today. Like cosmetics, these are great products for influencers to promote. Soap: $4.8 billion. Soap is essential to everyone’s body care routine, and needs to be replaced frequently. A lot of soapmakers are pumping out downright beautiful looking and smelling soap that’s going viral. Shaving: $3.4 billion. With businesses like Dollar Shave Club generating buzz and pulling in huge numbers online, shaving is a top subcategory. Deodorant: $2.8 billion. Deodorant is a staple beauty item. Ordering this small and easy-to-ship item online is a breeze. If selling health and beauty items to the U.S. intrigues you, take note of these market trends. Price. Shoppers want the best deals and are willing to abandon their brand loyalty to save. 85% of millennials will buy products wherever they can find the best price. Pay attention to your competitors’ prices to match or beat them. Content. Digital content can be used to educate consumers about products, and to plug promotions. 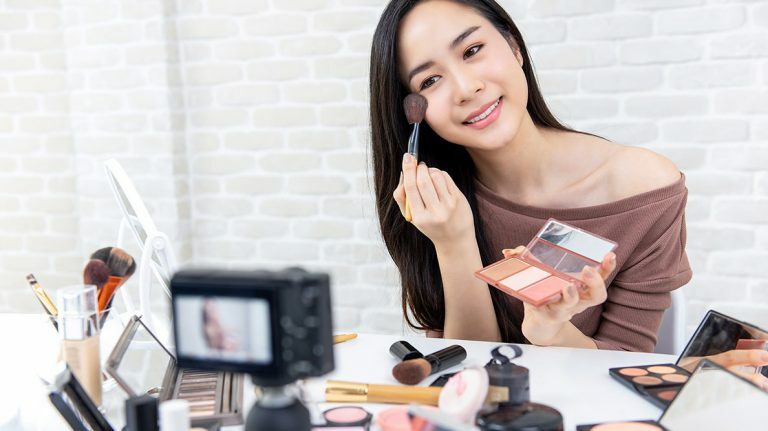 If you’re serious about your business, reach out to beauty influencers to promote your products through their content, or consider hiring them to promote it directly through your own channels. Repeat purchasers. Repeat purchases in this market are high. Buyers purchase products from brands they like and tend to stick with them. Great products are the primary driver for repeat sales. Shipping. Many beauty items aren’t big ticket purchases, so savvy brands offer low-cost shipping to satisfy customer expectations. This isn’t hard to accomplish since beauty items tend to be small and lightweight. Returns. Returns occur for only 1-2% of purchases. This is great news for Canadian merchants who might be hard pressed to coordinate international product returns. Where there’s success, there’s usually serious competition. Whether your business is growing, or just starting out, large brands will be your most fierce competitors. When it comes to personal care, Amazon, Walmart and Target hold 82% of the online market share. Stores that aren’t typically associated with makeup, skincare or personal care (like H&M) have also started to compete online in the category. Remember, just because there are some extraordinarily big fish in the sea doesn’t mean you’ll be wiped out. Many consumers don’t like to shop from big brands and intentionally shop with local and small vendors instead. They may opt to invest heavily in brands and products that are higher quality, artisanal or unique. Creating something special with fine ingredients and high quality materials, good design and functionality is a great way to go. The trick will be getting it into the right hands with targeted content and outreach. If you want to sell health and beauty products to Americans, you’ll need to follow the specific laws and regulations. 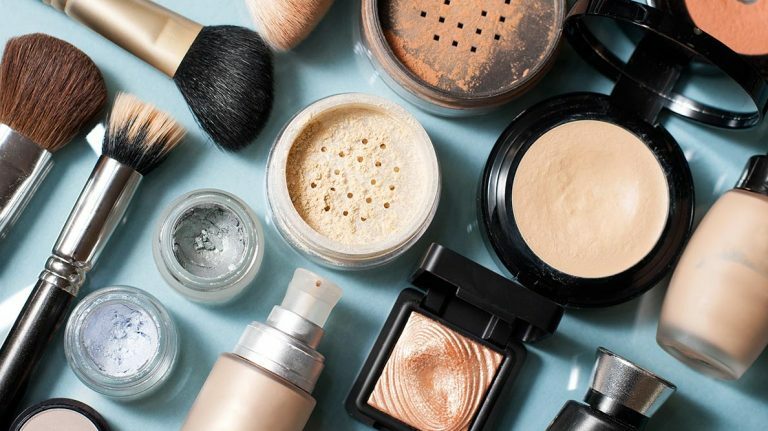 United States Border control defines “makeup” as anything used to colour and beautify the face, and “cosmetics” as items applied to other parts of the body. Products for medical conditions. Think medicated lip balm and medicated lotion. Makeup application tools like sponges and application brushes. Most cosmetics are duty-free, but if a product is classified as a drug or medicine, a duty may be applied. Use lettering no less than 1/16 of an inch high, unless the total space available for the label is less than 12 inches in which case the lettering must be no less than 1/32 of an inch high. Be listed in descending order of quantity. You’ll also need an FDA product code. These codes correspond to a product or group of products. Use this tool to determine your product code. Learn more about the FDA’s requirements. Social media. Use Facebook, Twitter, Instagram, Pinterest, Snapchat and YouTube to market or demonstrate your products and reach the masses. Influencers. Forge partnerships with influential individuals with large online presence in order to reach relevant audiences and encourage viral sharing. Loyalty programs. Build loyalty with your customers by offering them great incentives. Comply with rules and regulations. Reach out to U.S. Border Control and the FDA to make sure you have your ducks in a row. Ready to ship your products to U.S. consumers? You’ll need to work with a trusted shipping partner like Canada Post. We can help get your products to your customers affordably and on time. 1eMarketer. US Beauty and Health Retail Ecommerce Sales 2012-2016, (September 27, 2017), online. 2Statista. Personal care retail e-commerce revenue in the United States from 2016 to 2022, (n.d), online. 3Statista. Year-on-year personal care retail e-commerce sales change in the United States from 2017 to 2022, (n.d), online. 4Howland, D. “E-commerce disruption heating up in health and beauty segment: report”, (April 24, 2015), Retail Dive, online. 5Statista. Number of consumers who shopped for health and beauty items on the internet within the last 12 months in the United States from spring 2008 to spring 2017 (in millions), (n.d.), online. 6. Zaroban, S. The big opportunity in online health and beauty, (September 27, 2017), online. 6Statista. Growth of beauty e-commerce and Brick-and-mortar sales in the United States in 2017 (in million U.S dollars), (n.d.), online. 7Statista. Retail sales of the U.S beauty and personal care market in 2016, by segment (in billion U.S dollars), (n.d.), online. 8Illumination Consulting. E-Commerce Beauty Sales Soar Online Over 30%, (April 24, 2015), online. 9eMarketer. Millennials Dominate US Beauty Market, (December 14, 2016), online. 10Euromonitor International. 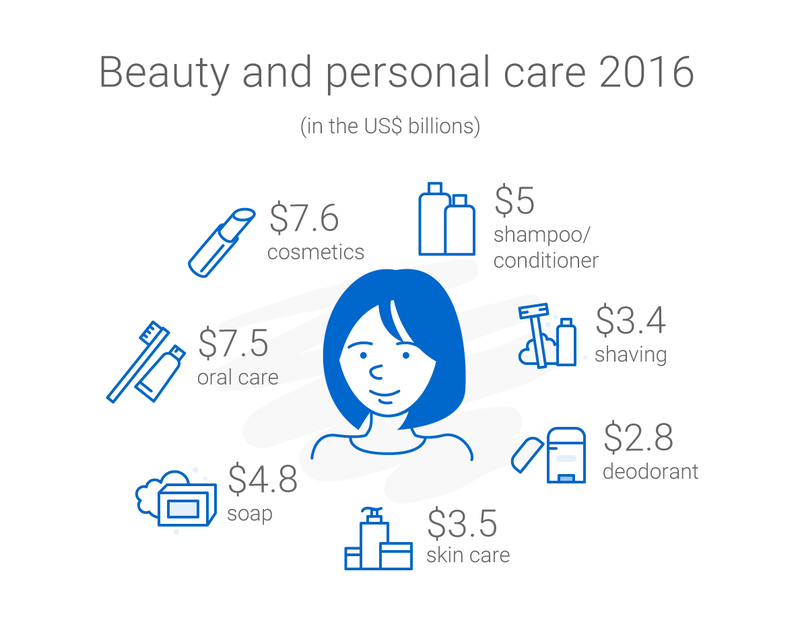 Beauty and Personal Care in the US, (May 2017), online. 11eMarketer. U.S Millennial Shoppers 2017, (January 30, 2017), online. 13. Neff, J. “What you should know about e-commerce trends in beauty, personal care”, (March 22, 2017), AdAge, online. 12eMarketer. The Beauty of Digital Influence, (November 24, 2016), online. 13Spector, N. “Going ‘Rouge’: How Beauty Brands Are Winning at E-Commerce”, NBC News, (May 15, 2017), online. 14eMarketer. Drug, Health and Beauty Retailers and Digital Commerce 2016, (November 2016), online. Get in touch with Canada Post to put our cross-border e-commerce solutions to work for you!